The Office mates are back together. Three of them, at least. Jenna Fischer recently posted a photo of her and fellow Office cast members Angela Kinsey and Oscar Nunez at dinner. In the post, she apologized for not being able to watch an episode of her current NBC series, You, Me and the Apocalypse. Fischer, of course, played Pam on all nine seasons of The Office. She currently plays Rhonda McNeil on You, Me and the Apocalypse opposite Rob Lowe and Megan Mullally. Hey West Coast, sorry I can't watch You, Me and the Apocalypse live with you tonight but I'm at dinner with these jokers! @angelakinsey #oscarnunez #ymata Starts in 5 mins Riverside, San Diego, Rialto, Pasadena! What do you think? Were you a fan of Fischer on The Office? Are you watching her on You, Me and the Apocalypse? More about: NBC TV shows: canceled or renewed?, The Office (US), The Office (US): canceled or renewed?, You Me and the Apocalypse, You Me and the Apocalypse: canceled or renewed? You, Me and the Apocalypse: Would You Watch a Second Season? 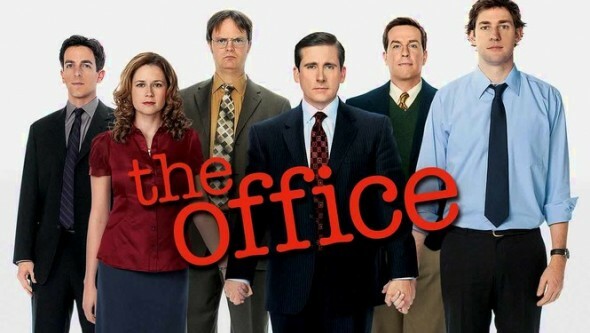 The Office: Steve Carell Leaving; Should the NBC Sitcom End?